We make use of only the best shade fabrics that are available on the market today – all of which are made by a reputable manufacturer. We offer a wide range of color swatches and types of fabrics to choose from so you can choose the best option that will suit your needs, compliment your home or business and will last the test of time. The canvas material shade sail offers the best possible solution when it comes to protection from the harmful UV rays of the sun. This fabric offers the ultimate combination of maximum sun protection, strength and durability to ensure maintenance free long life performance. 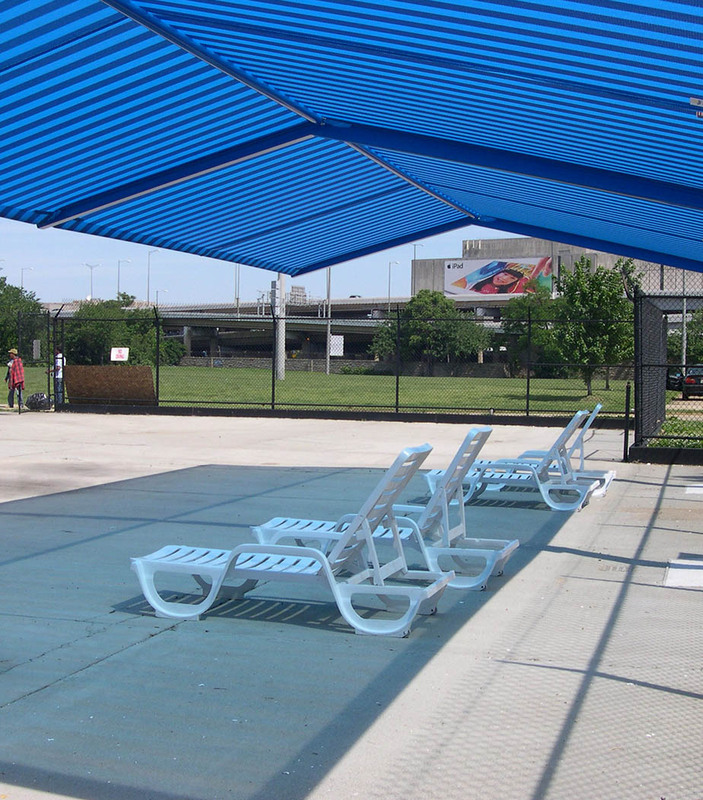 As well as providing optimal shade cover, the canvas material allows the breeze to flow through. This helps to cool your environment and allows hot hair to rise away from the area that you are shading. The canvas material shade sail is often a popular choice as it won’t rot or absorb moisture. Some shade sails are made of off white mesh and are the best choice for enjoying the outdoors without feeling the heat or rays of the sun. The white cloth offers protection by reflecting the light as well as offering some protection from the rain. The white cloth shade sail can prevent some of the air flow that you may enjoy with the canvas material, making this material a slightly hotter option. However, they are generally sill cooler than a traditional metal roof.